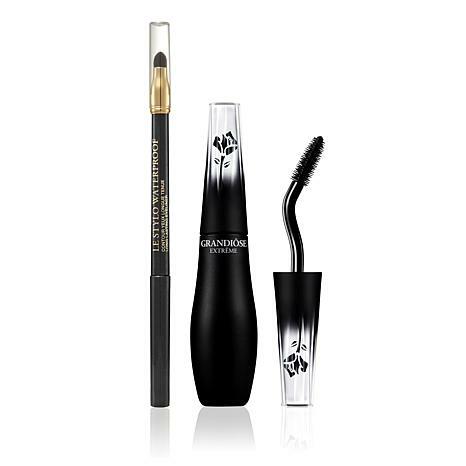 A duo of exceptional volume mascara and long wear eyeliner designed to give you a bold and beautiful look. Love this mascara. Dark pigment and great handle for applying. Stays put and lengthens lashes. Just tried eyeliner and I like it but I need to try for all day wear. Hope it stays put. Lancome is a supreme and top notch product. Lancome's mascara and eyeliner is always my go to. This has to be the most ingenious designs in a mascara wand! 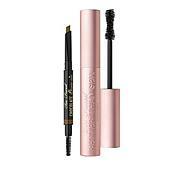 It gets all the little hidden lashes in the corners of the eyes, plus it allows clean application to the lowers lashes...which has been a problem for me as I age and lose lashes. Oh, and the formula is really black and glossy. I havent used the eye pencil yet but I know it will amaze me, as well since its waterproof!!! Yeah! !